I’m back at it again with a concert post... If you’ve been reading me for a while you already know my love for concerts, so a few months ago when The Vamps announced they were coming to Barcelona I bought tickets to see them. The concert was last Friday and it was amazing. Although not gonna lie, I wish I could’ve gone to the Panic! At The Disco one which yes, was on the same day but they announced it just recently. Not cool Panic, not cool. 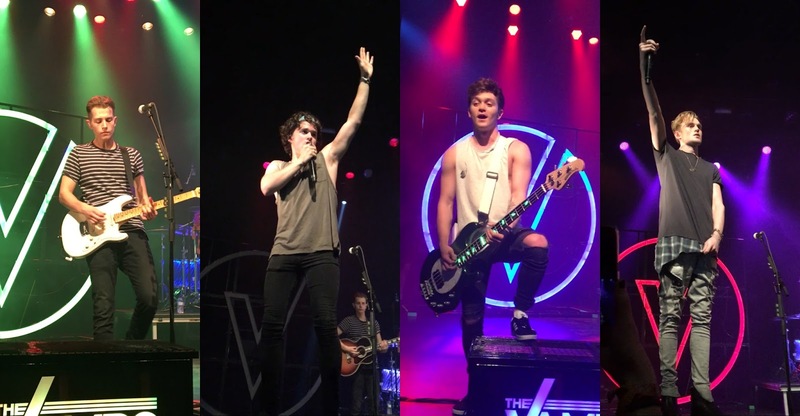 But oh well, I already had tickets for The Vamps and I was going with friends so yeah... Maybe another time! I went to uni that day for only one class and then headed to the venue to queue with my friends. Queuing is always quite exciting: you meet new people, you know you’ll see a band you love in a few hours...I don’t know, I just think it’s fun (minus the cold, that's not fun). As per usual, there was a support band, this time it was New Hope Club. I knew who they were but, to be honest, I had never listened to them until that day, they played some covers and some originals. These guys have a great live and honestly, they just won my heart seconds after they started playing a Twenty One Pilots song. 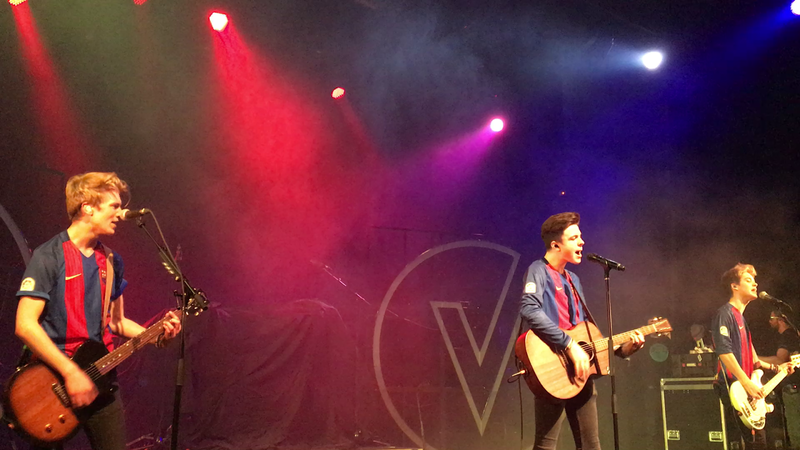 After New Hope Club it was time for The Vamps to go on stage. I’ve already seen them a lot of times but they never disappoint. You always know they’ll put on a great show. They interact a lot with the audience and put you in such a good mood. In my opinion, the setlist couldn’t have been better. They played a great mix of new and old songs; they even played their latest single All Night! I have a thing for slow and acoustic songs so you can imagine how happy I was when they played some of my favourites in acoustic: Risk It All, Shout About It, Written Off, Stolen Moments... I love the atmosphere when slower songs are played, it’s beautiful. I almost cried as well, I am always an emotional mess at concerts though. 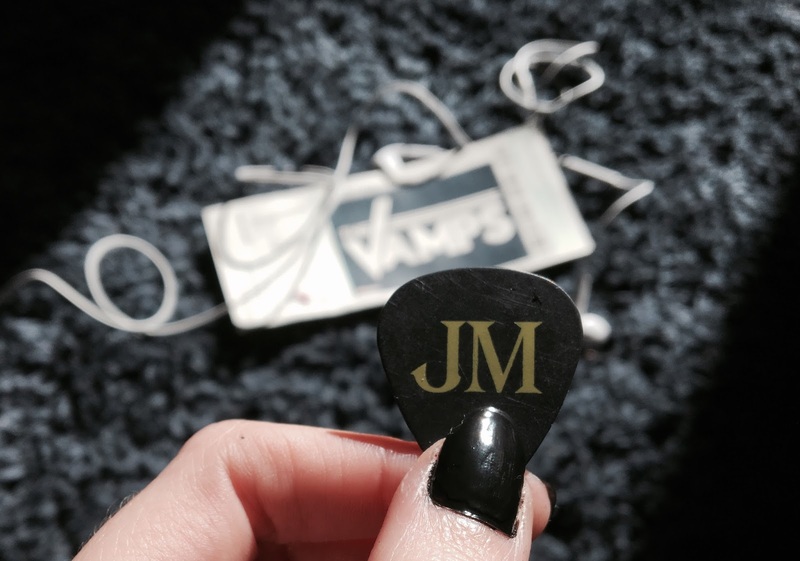 I also managed to get a guitar pick from James, I'm honestly still in awe, I’m NEVER this lucky. I love that whenever I use it to play the guitar, now or in the future, it will remind me of this band that I’ve been following for years. Overall, I had an incredible night and yes as I said, I really hated the fact that I couldn’t see another band (I complained about it all day) but I know it was so stupid and selfish of me, I’m lucky that I got to see this band that I also love and I’m grateful for that. Have you ever caught a guitar pick at a concert?